See me at Stella Mares from 7pm to 10pm with the the George Mamalakis trio! My name is Shaun Oster. I offer Drum Lessons lessons in the Santa Barbara area, as well as SKYPE lessons. I teach all levels. If you are just beginning, you need to start with a solid foundation. If you are advanced, I can train you to seek new weaknesses and refine them every time you practice. Think of me as a personal trainer. I will help you woodshed and build your library of familiarly to grow stronger as a listener and improviser with my unique drum lessons. I believe we are all inherently ambidextrous, we just have to take the time to nurture our movements back into balance. Drumming is the art of getting out of the way, and letting something deep inside you speak. I believe I can help you to find that voice and be familiar with whatever you want to say on the drums. Please take a moment to enjoy some of these videos to get familiar with my drumming and style. You can also read more about me. I look forward to meeting you and exploring the art of drumming! Today, the magical number of the day is "SIX!" from Shaun Oster on Vimeo. Today, the number of the day is "5" from Shaun Oster on Vimeo. Stream of Gut. Felt like expressing myself tonight! from Shaun Oster on Vimeo. Cast your fate to the wind from Shaun Oster on Vimeo. Mark Craney – an absolutely unique approach to time, feel, independence, and soloing. Funk, Fusion, and Rock were the main styles. However really the focus was creative freedom within body independence, and the pulse. Joe Labarbara – Joe has a softness that is so uniquely tasteful, and distinct if must be witnessed in person. His freedom in improvisation coupled with traditional technique is a joy to be touched by. Without studying privately I am also heavily influenced by: Art Blakey, Billy Higgins, Elvin Jones, Tony Williams, Airto, Harvey Mason, Danny Seraphine, Mike Clark, Peter Erskine, Steve Gadd, James Gaddison, Horsemouth, Carlton Barrett, and Sunship Theus. 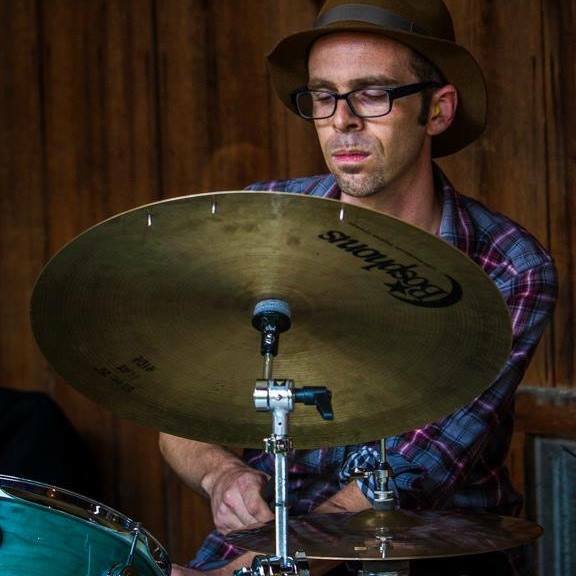 I, Shaun Oster began studying drums at age 12 at a local shop in Santa Barbara, “Mike’s Drum Shop”. After studying with great local players Pete Sharp and Tom Lackner, I was recommended to study with Mark Craney in Los Angeles. Driving weekly to Los Angeles, I studied Mark’s unique style and approach to drumset before attending Calarts and studying with Joe Labarbara. Darek Oles (bass) was also highly influential on examining the relationship of bass and drums in jazz time. Now a happily married father, Shaun resides in Santa Barbara, teaching and performing weekly in addition to being a Chef and Web/Virtual Reality developer.